In 1936, the site of Gold Coast Airport was selected as an emergency landing ground for aircraft flying between Sydney and Brisbane and in 1939, the first regular passenger transport (RPT) services commenced. Construction of the northern part of the original terminal was completed in the early 1950s when annual passenger movements were approaching 12,000. By 1958 the runway and taxiways were sealed along with the access road and car park, and a light aircraft apron was delivered. Construction of the existing terminal complex began in 1980 and was opened by the Deputy Prime Minister, the Rt Hon. Douglas Anthony, when it was officially named the Eric Robinson Building. By 1981 passenger movements were 656,595 per year. Since then, Gold Coast Airport has continued to provide the Gold Coast and Northern New South Wales regions with an exceptional level of customer service while recognising the key role it plays in tourism and other business activities within the dynamic holiday destination. As one of Australia’s fastest growing airports, Gold Coast Airport offers employees a dynamic and fast-paced working environment, where no two days are the same. Supported by a strong and passionate team of hardworking individuals, Gold Coast Airport offers employment opportunities across a broad range of fields including management, maintenance, airside safety, and customer service. Gold Coast Airport is owned and operated by Queensland Airports Limited (QAL). QAL aims to be an employer of choice in the regions it serves, as part of its vision to engage customers, connect communities, and provide exceptional experiences. Air transport statistics at Gold Coast Airport are based on the performance of domestic and international flights to and from GCA. The Gold Coast Airport media centre is a resource for journalists which aims to provide current information on airport activities and initiatives. The airport, through its parent company Queensland Airports Limited (QAL), is supported by a Corporate Relations department to assist the needs of media. Media enquiries only should be made to the Corporate Relations department on (07) 5589 1414 or by email at media@qldairports.com.au. Enquiries regarding airline-specific information should be directed to the respective airline’s media department. We welcome media for special tours of our airport facilities; or other media and editorial requests. Any filming and/or stills photography activity carried out for commercial purposes at Gold Coast Airport requires the prior written permission of Gold Coast Airport Management. Please complete this form and submit to media@qldairports.com.au at least three weeks before the requested filming date(s), for your request to be reviewed. Gold Coast Airport has a social media presence on Facebook, Twitter, Instagram, LinkedIn and YouTube. Gold Coast Airport is owned and operated by regional airport specialist Queensland Airports Limited (QAL). The QAL corporate group structure provides specialist resources in functional areas to ensure an overarching corporate ethos to all airports owned by QAL. This group structure was designed to achieve synergies across all airports and deliver a sustainable return on investment to shareholders, stakeholders and customers. 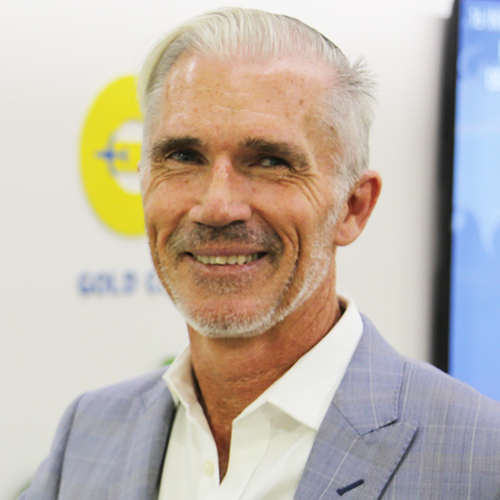 Chris Mills joined Queensland Airports Limited (QAL) in June 2014, and in October 2015 was appointed to the role of Chief Executive Officer (CEO). As the CEO Chris is responsible for setting and driving strategic initiatives to ensure the continued success of the group into the future. Chris leads an experienced team with a focus on delivering exceptional airport experiences, and oversees a significant investment programme in QAL airports to deliver on this vision. Chris has over 25 years’ experience in diverse industries including tourism, leisure, retail, finance and property planning and development. He has worked in senior executive roles in Australia and England across the private and public sectors. He is also currently a board member of Currumbin Wildlife Sanctuary. Marion Charlton has an impressive track record of experience in the aviation industry both domestically and abroad. Since joining Gold Coast Airport, Marion has held a variety of management roles including her current position of Chief Operating Officer as she prepares the airport for the Commonwealth Games in 2018 and oversees the $340m transformational redevelopment of the airport facility. Marion worked in the Atlanta and Sydney airports during the 1996 and 2000 Olympics and was in Glasgow during the 2014 Commonwealth Games. She has also worked with the Irish Airport Authority. Marion has strong ties with many Gold Coast tourism organisations through her past work on the Tourism Advisory Board for Bond University. 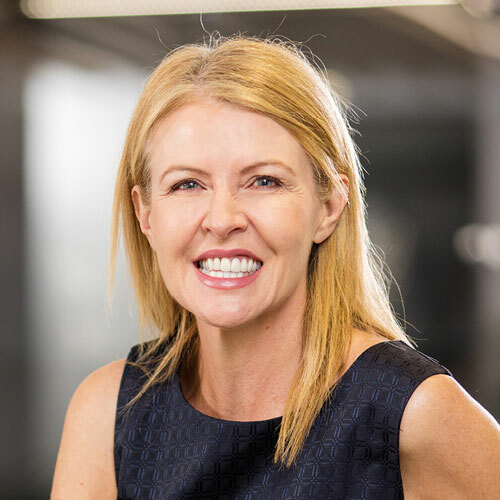 She is currently on the advisory Board for Southern Cross University Business School, on the Board of Trustees for the Currumbin Wildlife Hospital Foundation and sits on the Advisory Board for Study Gold Coast. In 2016 Marion was a nominee for the ‘Outstanding Alumnus of the Year’ following completion of her MBA at Southern Cross University. She is also a past recipient of the International Woman’s Day Leadership Award for the Gold Coast. 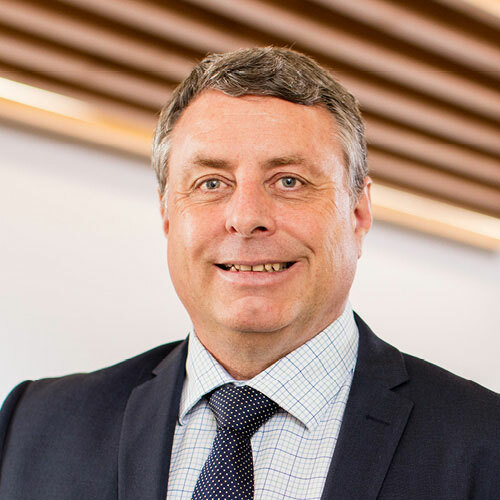 Kevin Gill has 24 years’ experience in aviation and has held executive positions in airlines in Australia and New Zealand including Air New Zealand. Since joining QAL in 2008, Kevin has been involved in a range of programs and initiatives to develop Townsville, Mount Isa and Longreach Airports. This has seen the reestablishment of Townsville as an international airport as well as significant airport development at Mount Isa and a number of new airlines and routes operating through both Townsville and Mount Isa Airports. Kevin is currently Chair of Townsville Enterprise, and is a Councillor of the Queensland Futures Institute. 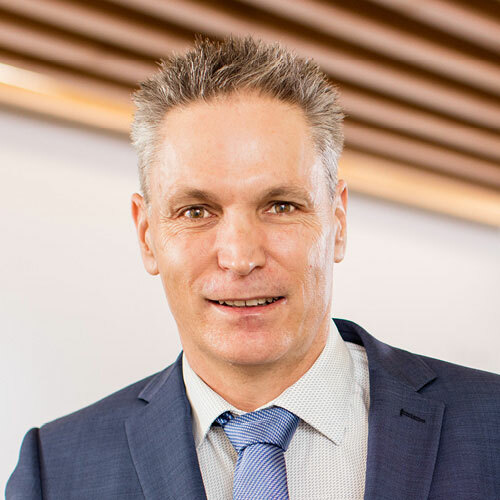 Kevin will play a vital role in successfully delivering the Townsville Airport redevelopment, Project Alive, which will be the largest redevelopment since the existing terminal was built in 1981. Amelia Evans is a qualified Chartered Accountant with 20 years’ experience in various industries including aviation, telecoms, FMCG and property development. Her initial grounding at Ernst & Young has led to senior executive roles in the public and private sectors in Australia, Solomon Islands, London, United States and the Caribbean. At British Telecom in London, Amelia managed the group strategic plan, negotiated joint venture agreements and delivered a significant change management program. In the Caribbean, Amelia oversaw the establishment of IGA supermarkets and construction of retail and commercial properties. 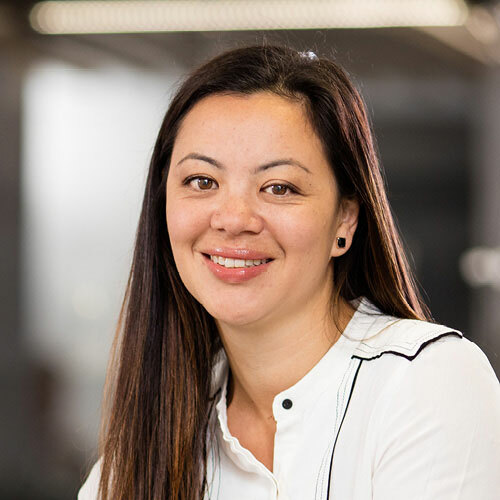 At Qantas, Amelia worked in Head of Finance roles within the areas of operations, commercial, sales, customer experience and engineering, and was also responsible for the delivery of major aircraft capital reconfiguration programs. In her roles, Amelia has managed financial, operational, people, technology and project teams. Amelia has been on various advisory Boards for disaster management, economic development and sporting associations. Amelia is actively involved in a number of national leadership and mentoring programs. Adam joined QAL in 2017 as General Manager Business Development and Marketing, before moving into his current role in July 2018. In this role Adam is responsible for managing the business development and marketing function, leading his team to grow domestic and international airline capacity, and work with airline partners and tourism bureaus to market destination accessibility. Adam has held a number of senior management and executive roles within the airline industry, working for Virgin Australia and Tigerair, and brings ten years’ experience to this role. Carl Bruhn joined QAL in August 2016. Carl brings to QAL a wealth of experience including mixed use precincts, non-residential land development, project/construction management, design management and community development. Carl is responsible for delivering a large program of works across the QAL Group over the coming years, bringing a broad background of experience to the role. Carl’s most recent role was with Villa World as the General Manager, Communities and Business Growth. Carl spent a number of years with Lendlease as General Manger Town Centres and Senior Project Director on the Varsity Lakes project. During this time he was responsible for both the residential and commercial aspects of the Varsity Lakes development and similar Lendlease projects nationally. Mr Bruhn is a Fellow of the Urban Development Industry of Australia (FDIA) and is a fully licenced real estate agent. 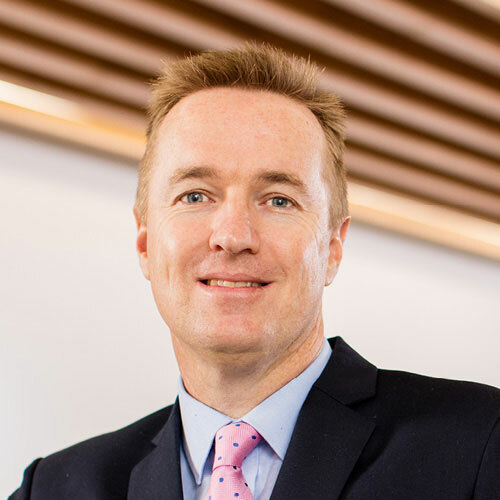 David re-joined QAL in January 2019 havingpreviously held various executive roles within the Group between 2010 and 2014.He is a generalist lawyer with extensive experience as general counsel andcompany secretary within Australian airports and the tourism and propertysectors. David is responsible for QAL’s legal and governance functions as wellas the Group’s company secretarial role. His professional experience has been gainedas an executive working within major national and multinational corporationsand his expertise lies in an ability to successfully lead and manage legal andgovernance within highly regulated, dynamic and intensely competitiveenvironments. David has also worked with Australia’s preeminent indigenousorganisation, the ILC and its subsidiary , Voyages Indigenous Tourism Australiaand was also a director of the Mutitjulu Foundation, a successfulnot-for-profit established to improve the lives of Uluru’s traditional owners.In addition to David’s professional expertise, he has a passion for socialequity, aboriginal advancement and ethics. 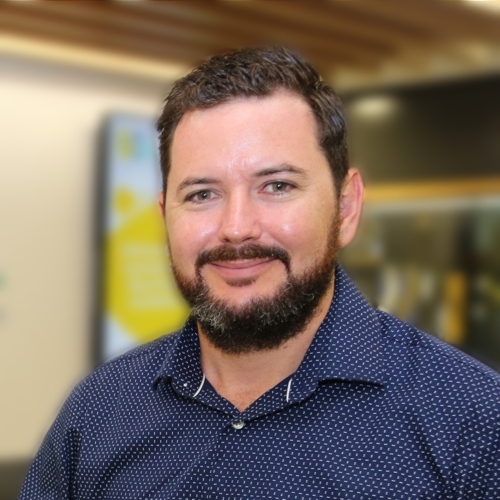 He is a long standing member of TheEthics Centre, a member of various legal and governance groups as well as anassociate member of the Queensland Indigenous Lawyers Association.